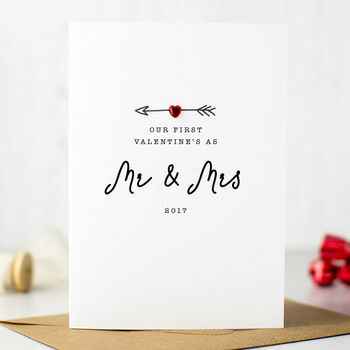 Celebrate your first married Valentines Day as husband and wife with this beautiful, hand embellished 'First Valentine's as Mr & Mrs' Valentines Card. 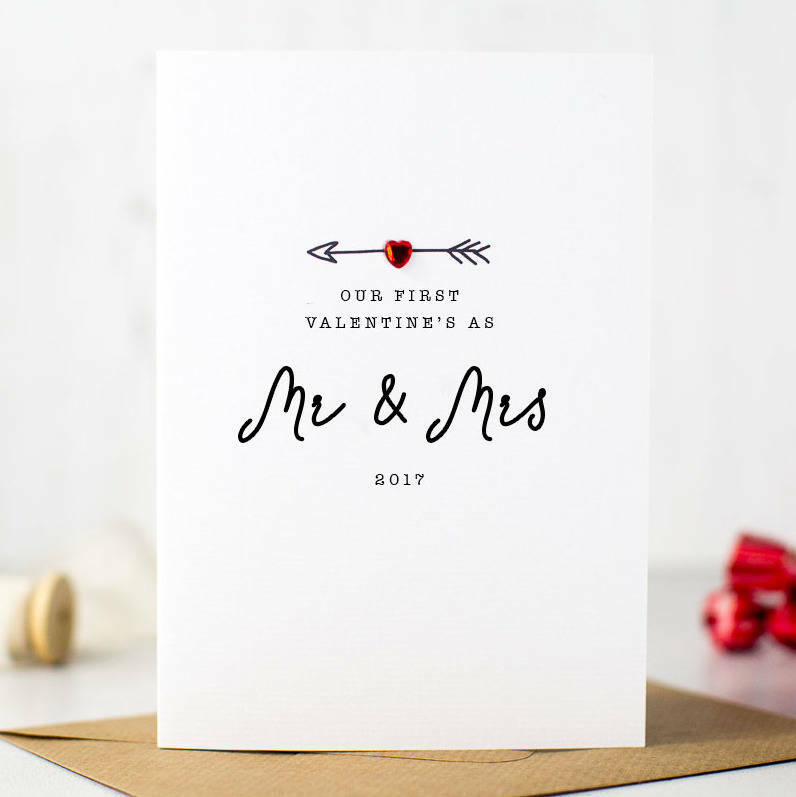 Perfect to celebrate your first Valentines day as Mr and Mrs, Mr & Mr or MRs & Mrs.
Hand embelleshed with a red crystal heart. Supplied with a kraft envelope.